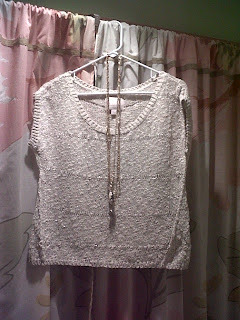 Banana Republic cropped sweater- for some reason, I can't find it online, but it's in stores. PS: Don't forget to enter the Shabby Apple LBD giveaway! I love that necklace Jaime! I'm j'adore that cameo necklace. Though, I think I would hack off the bottom jewel and let the piece be standalone. 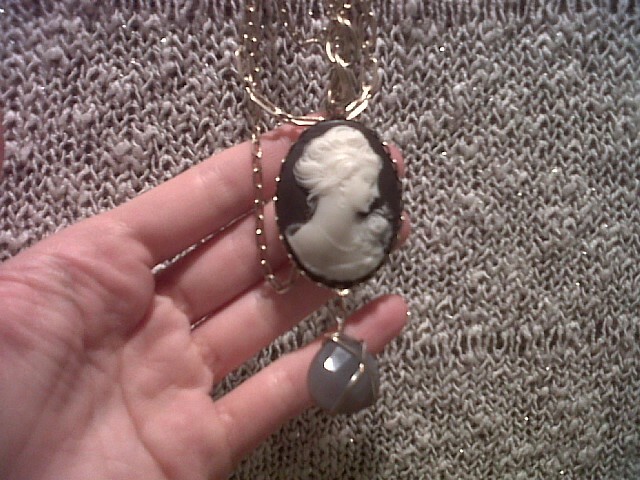 the cameo necklace is beautiful. I think all our boots have seen better days! This is such a chic outfit, I love it!! The necklace is amazing. It's ridiculously cold and windy out today so I'm opting for comfort over style with a huge grey sweater on haha. love the idea of this sweater, great buy! I was just lusting after a cameo necklace when I saw Carrie Bradshaw pair it with a couple strands of pearls and a tank top! 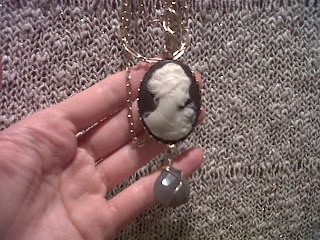 the cameo necklace is GORG!!! love LOVE!!! Oh I love that cameo necklace! And layering necklaces is always fun. I mixed it up a bit today and layered my favorite skirt over a dress and threw on a belted cardigan to tie it all together. Crazy, I know. Love the inspiration :) Great necklace! What a gorgeous sweater and necklace combo! Dying to know if you ever wear the same thing twice, you have so many beautiful clothes!! I love the necklaces!! I bet you look super cute today! Love anything slouchy! And that necklace is beautiful! Loving cameos and loving being back in the blog world! Looove that necklace. I am wearing a bunch of black layers to stay warm. When does summer come again? who doesn't love a good knit. today I wore sweats and a tee topped with a sweater. I know fashionable.. haaa. i love the gold accessories you paired your sweater with! it looks and sounds like a very comfy outfit. hope you're having a great week Jaime! cute outfit! i too loved that sterling style look. glad i discovered your blog today! William Rast Jeans, splendid tank, with tracy feith sweater .. Cute Jaime! Love that sweater! I LOVE the necklace with that sweater. It is a perfect touch. Seriously cute cameo and sweater! LOVE that cropped sweater and the necklace! Love the cameo necklace! And it looks like we'll be seeing more cropped shirts this spring, so cool to see you starting that now.